The success of automotive companies directly depends on the launching of advanced technologies. In the last years, automotive industry experts agree that the near future of the automotive industry will be closely related to the use of augmented reality technology. 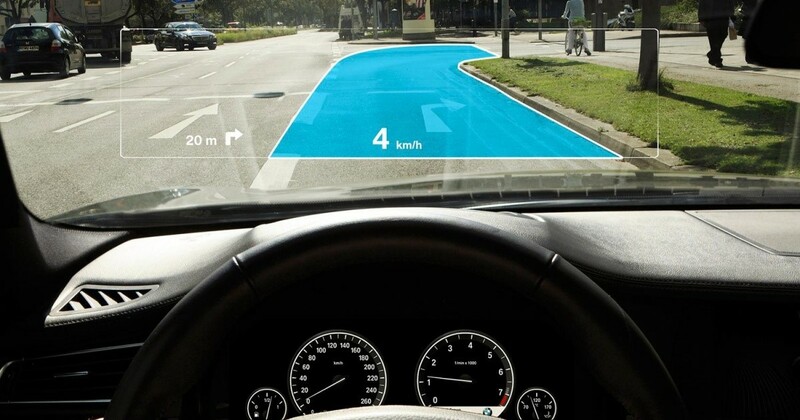 First of all, AR can completely change the driver’s user experience with the help of head-up displays (HUDs). Also, augmented reality transforms many other aspects of the automotive industry, such as showrooms, prototyping, car assembly, and maintenance. Following, we look at how leading car manufacturers use AR in the automotive sector and what benefits it brings to their businesses. Will augmented reality enter the automotive industry? Today, we can certainly assume that the augmented reality has already entered the automobile industry. The vast majority of leading car manufacturers integrate AR features in particular production and marketing processes. Ask Mercedes helps car owners to learn more about their Mercedes auto capabilities and their use. Moreover, in January 2018, Mercedes introduced the new progressive infotainment system MBUX, which uses AR and AI. With the growing complexity of modern cars, even certified auto mechanics need help to deal with them. Therefore, Volkswagen has created the Marta app for their service departments. This interactive AR app helps technical workers to perform car maintenance much faster. Volkswagen also uses spatial AR for vehicle design. With the projectors, designers overlay appropriate AR images on physical car models. Thus, it’s easy to evaluate various design options and immediately make the necessary adjustments. 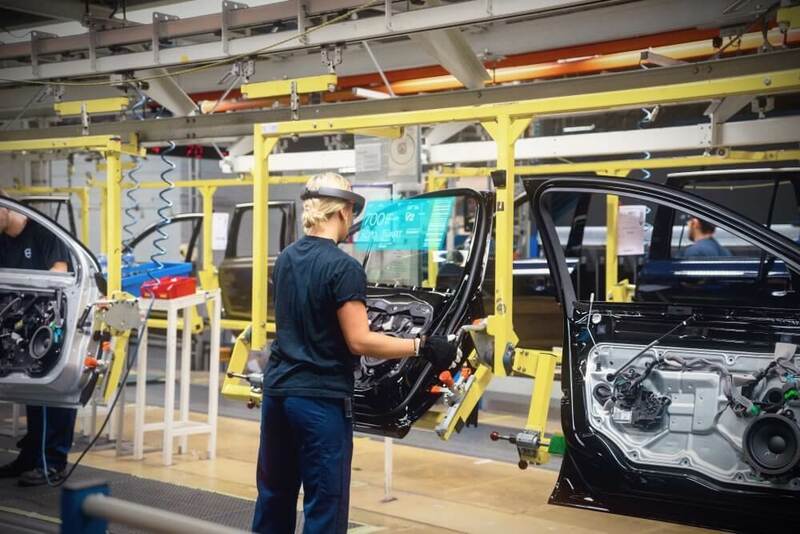 In 2015, Volvo together with Microsoft HoloLens launched a project to implement augmented reality in car manufacturing and selling processes. With the help of augmented reality in Volvo dealerships, they present to potential customers different helpful functions and the structure of vehicles. In such an outstanding way, Volvo demonstrates the safety and reliability of their cars. Augmented reality helps Volvo optimize the car assembly process. In Volvo, assembly line employees receive instructions and necessary technical information on the screen of AR glasses. Therefore, operators can quickly check the documentation, without being distracted from the work process. AR automotive market is at an early stage of its development. But leading car manufacturers recognize its high potential, and there is a clear upward trend of using AR in the automotive sector. What raises the demand for AR technologies in the automotive sector? Smart design and comfort are the absolute standards for any modern car. Now customers expect the increased safety, assistance in navigation and other technical functions that would reduce the risk of a human mistake while driving. At the moment, the windshield augmented reality HUDs are able to satisfy all these requests. According to the Market and the Market research, in 2017, the automobile head-up displays market size was $760 million. It is predicted that by 2025, it will reach $11,838 million and this will be the largest segment of the augmented reality automotive market. What advanced AR equipment are automotive companies manufacturing? Given the enormous possibilities for the market of head-up displays, the automotive companies are focused on the development of HUDs themselves and their connected sensors. Head-up displays, which are now available to users, usually provide a small-sized image with a low resolution. Therefore, the image is not always clear, for example, in bright sunshine. In addition, the small size of the image does not allow realizing in full the potential of the AR technologies. Thus, now automotive companies are working on the development of full windshield HUDs, as well as sensors that can transmit real-time information about the vehicle conditions and environmental factors. How much money is on this market? Automotive companies that have implemented augmented reality solutions in their business processes are satisfied with ROI (return on investment) indicators. Therefore, they continue to expand the fields of application of AR in the automotive industry and stimulate the growth of the augmented reality automobile market as a whole. All market experts agree that this market will grow steadily. According to various forecasts, the augmented reality automotive market will reach from $6.8 to $8 billion by 2025. Now it is a great time to invest in AR solutions if you want to bite off a piece of augmented reality automotive market. What will AR change for drivers? Augmented reality concept can change many aspects of a driver’s life, starting with car selection and ending with after-sales service. Today, you don’t need to visit brick and mortar showroom to examine a car. It is enough to install the AR app on your smartphone. 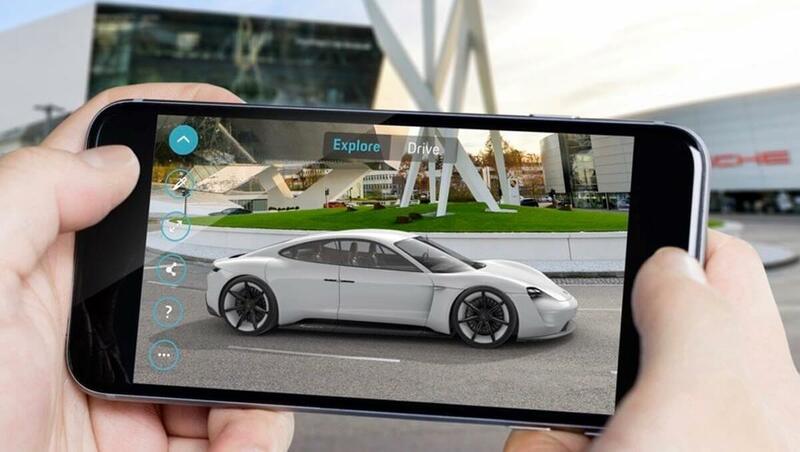 For example, in 2018, Porsche launched the “Mission E Augmented Reality” app, which can be used free on iOS and Android smartphones. The company uses this AR application to promote its electronic sports cars. In the “Explore” mode, users of AR app can learn about the concept and consider the design of the car with 3D visualization. And in the “Drive” mode, users can get an exciting, immersive test drive in augmented reality. You can also use augmented reality to enrich the interaction with the car in the showroom following the example of Honda. At the Detroit Auto Show 2018, Honda demonstrated a unique HondaLens project using augmented reality technology. This is a tour with the help of AR smart glasses, which turns the boring viewing a car into a memorable experience. When the drivers check the data on the GPS navigator screen or monitor the speed of the car, they inevitably get distracted from the road. Sometimes a few seconds of distraction while driving can lead to an emergency. Therefore, it is critical for increasing safety to show relevant information directly on the windshield in the driver’s field of view. Now HUDs show on the windshield the most in-demand data, such as navigation arrows, distance to the next turn, or speed. This information is enough to increase comfort and safety while driving. Moreover, full windshield AI head-up displays, which are expected to enter the market in the coming years, will minimize risks on the road. An average car owner isn’t well-versed in technology. Therefore, even basic car maintenance operations, such as replacing the air filter, can be complicated for them. Interactive manuals with augmented reality solve these problems. So, drivers can easily provide basic maintenance of their car. Also, interactive manuals help drivers use their car functions more efficiently. Augmented reality manuals contain simple step-by-step instructions and video tutorials that allow users to apply the most complex functions of their cars. What is AR changing in automobile manufacturing? AR in the automotive industry helps to cope with complex tasks, such as prototyping, car assembling, or maintenance in a more effective way. The main problem in design and prototyping has always been the need to build physical models. 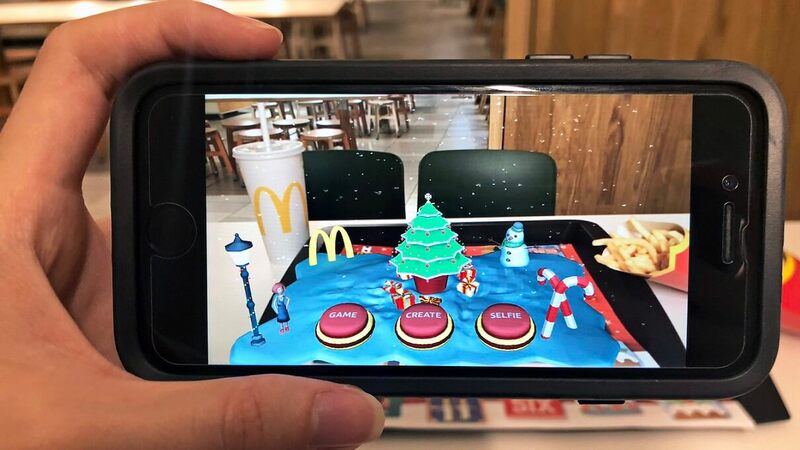 Augmented reality allows you to use existing physical objects, overlaying them with new elements. Often, car manufacturers use SAR (spatial augmented reality) to project some images onto physical models of cars. Using projectors is a convenient and relatively inexpensive way to integrate augmented reality into the process of designing and prototyping. In addition, automobile companies use augmented reality glasses to design vehicles. Using smart glasses is more expensive, but it is more accurate and provides broader application opportunities. With the help of augmented reality, you can easily arrange the joint work of designers on a project of any complexity. Changes can be made directly in the course of the discussion. Any changes are immediately visible to all project participants. Due to the use of AR systems, the cost and duration of the development of a new design are reduced. Therefore, leading car manufacturers, including Volkswagen, BMW, and Ford use augmented reality technologies in their design and prototyping processes. The process of assembling a car requires absolute accuracy and attention to detail. Even experienced operator needs to check various technical documentation during the assembling. Such distractions significantly slow down the assembly process and can be fraught with errors. Now car manufacturers are trying to apply augmented reality to optimize the assembly process. All necessary information for assembly line workers in the form of images, step-by-step instructions or video is displayed on the screen of AR smart glasses. Employees can use voice control to call the required functions. Meanwhile, the work is not interrupted. Thus, the use of additional reality glasses makes the work process of assembly line employees much more comfortable, significantly speeds up the assembling, and minimizes human errors. Automotive companies, including BMW, Porsche, and Land Rover, use augmented reality technology to help automotive technicians accomplish complex maintenance and repair tasks more quickly. The most apparent way to use augmented reality in car repairs is interactive manuals with step-by-step instructions. Such a manual can be installed on a mobile device or displayed in the augmented reality glasses. Using tablets is much cheaper. However, augmented reality glasses are more effective in reducing repair time. Also, with the help of augmented reality, you can contact employees at remote technical support services. In July 2017, Porsche launched such an AR program – Tech Live Look. 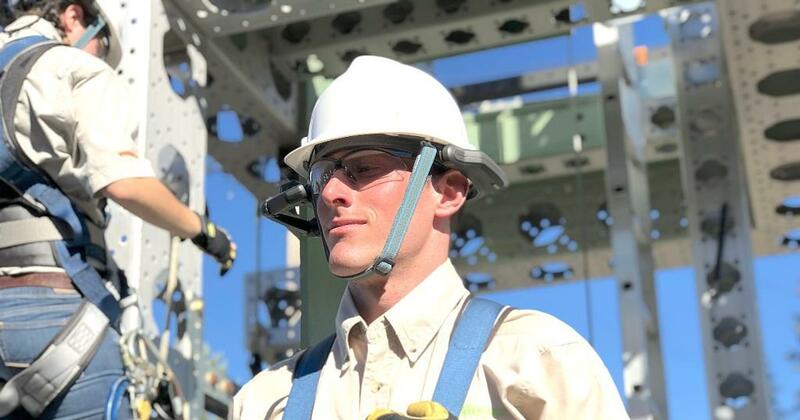 Here is how it works: a technical worker wears AR smart glasses. This way the remote support service receives a detailed real-time image of everything that the technical worker sees. Therefore, the support service can instantly provide the necessary instructions and coordinate the work of the automotive technician. The pilot use of the Tech Live Look technology in nine Porsche dealerships during a month showed a 40% reduction in repair time. Thus, Porsche is currently expanding the use of this augmented reality system to other dealerships. Augmented reality has an extensive practical application in the automotive industry, serving both drivers and car manufacturers. Augmented reality apps help customers to pick cars. AR integration into automobile equipment makes driving safer. Digital AR manuals allow users to self-maintain a car, even if they know nothing about machines. Automotive companies also use AR in automobile manufacturing. With the help of augmented reality, they optimize the processes of prototyping and assembling cars. AR also helps auto mechanics to repair vehicles quickly and accurately. Augmented reality can benefit your automotive company as well. Our professional team will be glad to advise you on how to use augmented reality effectively in your case. 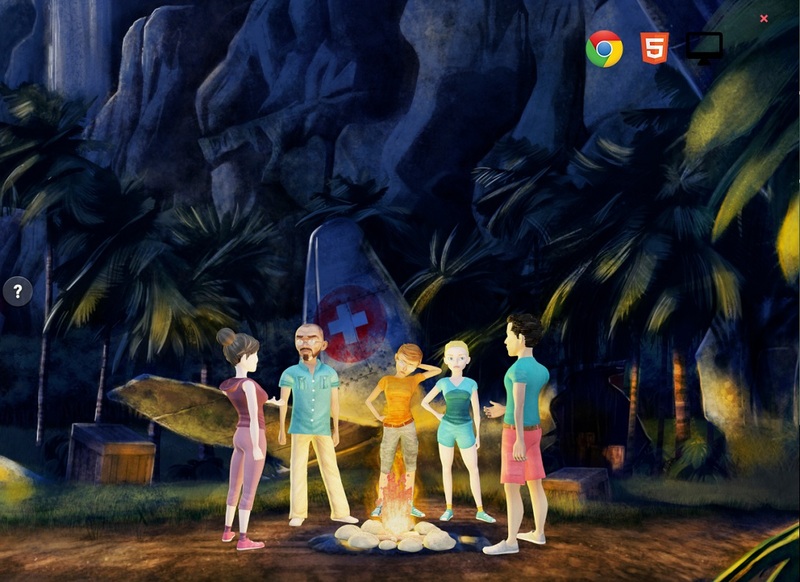 We will also help you with augmented reality application development so that it brings your business to a new level.